Thanks for visiting my website. 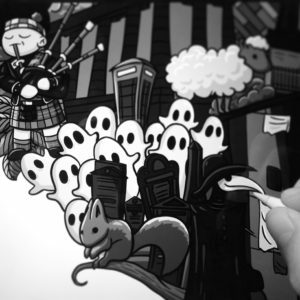 My name is Nacho Munárriz, I am a freelance graphic designer and illustrator from Spain, with based in Edinburgh (UK), where I am developing my activity in my own studio. 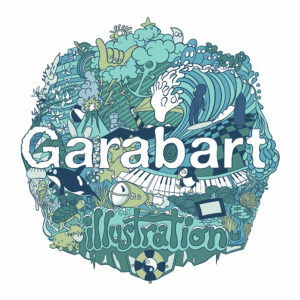 Garabart collects a large part of my work during several years, so I hope you enjoy it. Don´t forget now you can follow me on social media where I publish my latest artworks. I offer my services in graphic design and illustration. Do you need a logo, a new corporate identity? 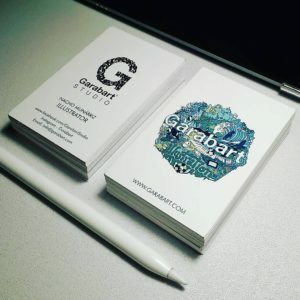 Or maybe business cards? Do you want an illustration for a poster or cover? Do you need a responsive web for your company with a great design? Nacho Munárriz (1985, Zaragoza) With a Bachelor´s Degree in Graphic design in University of Superior Studies in Graphic Design (Zaragoza, Spain) Technical assistant in Industrial Design. Currently I work as graphic designer and illustrator for several companies in development of corporate identities, publicity and web design. T-shirt designer since 2010 for shops such as (Threadless, Teefury, Riptapparel, Qwertee, Pampling...) Freelance illustrator, I have worked for companies and institutions and currently I am creating my own illustrations where I always feel more free.